Yesterday was Yom Hashoah or Holocaust Remembrance Day. On the Jewish calendar it falls between Passover—which despite President Obama’s confusion, is not a generalized reminder of “our ongoing responsibility to fight against all forms of suffering and discrimination,” but a celebration of the Jews’ specific freedom—and Yom Haatsmaut, Israeli independence day. The Holocaust fell between liberation from slavery and political self-determination. It was the greatest catastrophe of Jewish exile. Hence its name. The Holocaust was not merely der driter khurbn, as some Yiddish speakers called it—the third destruction, following the twice-repeated destruction of the Temple—but a destruction that redefined the meaning of destruction for all time. What is little appreciated is that the Holocaust represents, not merely (in Lucy Dawido­wicz’s phrase) the war against the Jews, but also a culture war, a bat­tle for memory. What is now called the Holocaust is the Ger­man campaign to exterminate European Jewry, but told from the perspective of its victims. There is a funda­mental distinction between the Holo­caust and the Final Solution. Much confusion has been caused by treating them as if they were identical. Die End­lösung der Juden­frage (“the Final Solu­tion of the Jewish Ques­tion”) was the National Socialists’ euphemism for their campaign of extermination. The Holo­caust is not the name for German state-sponsored mass murder, but for the victims’ response to it. Whenever the name of the Holo­caust is spoken, it is the Jewish reaction—not the German action—that is inevitably meant. The National Socialists pursued an official policy of silence and dissembling about their extermination campaign. As Hannah Arendt would later say, they sought to estab­lish “holes of obli­vion,” working feverishly and from the very beginning “to erase all traces of the mas­sacres—through cremation, through burning in open pits, through the use of explosives and flame-throwers and bone-crushing mach­inery. . . .” When they were obliged to admit it, they resorted to abstractions that were designed to conceal the truth, speaking of Umsiedlung (“resettlement”) rather than expulsion, das Jüdisches Wohnviertel (“the Jewish quarter”) rather than the ghetto, Sonder­behand­lung (“spe­cial treatment”) rather than mass murder. As they abandoned the extermination camps in 1945 before the Allied armies’ advance, they dynamited gas chambers and crema­toria and burned documents, seek­ing des­perately to leave no record of their crime. The Jews sought just as des­perately to create a record; to institute a different and more revelatory language; to dig out the holes of obli­vion. Between Ger­mans and Jews there was, in short, another struggle, distinct from mass murder and survival—a struggle over memory. The German Nazis wanted the world to know nothing of what they had done; the Jews wanted not merely to inform the world, but to horrify it with the information. The Holocaust became known to the world, and installed as the universal symbol of absolute evil, as a result of the massive and widespread effort on the part of Jews to communicate the enormity, the unprecedented and era-defining character, of the German crime. Within two decades of the war’s end, the Jews had prevailed in the struggle for memory. History according to the victims took the place of history according to the perpetra­tors; the Jewish name (“Holocaust”) eclipsed the German (“Final Solution”). Even after they had come to learn about National Socialist intentions and the bureaucratic functioning of der SS-Staat, Jewish scholars and writers recognized and depended heavily upon the distinction between National Socialist policy and Jewish response. The Holocaust was their name for the latter—history from the victims’ point of view—especially the continuing response of survivors. In 1957, twelve years after the lib­era­tion of Ausch­­witz, the Israeli his­torian Ben Zion Dinur wrote:The Germans . . . were committed to the total destruction of the Jewish people, the extermination of communities and synagogues, of Yeshivot [rabbinical aca­demies] and schools, of books and writings. And despite the desire of Jews to leave a record for future generations of the horrors they had experienced, of their struggle to preserve the image of God even while in the European purga­tory, of their active and passive resistance to German persecution, their faith and their des­pair, their operations together with the ﬁghters in the forests and the partisan bands, the organization of the underground, the few acts of char­ity on the part of Gentiles in their terrible distress—of all this we have virtually no documen­tary material at all. Indeed often one is left with the impression that one must rely entirely on the evidence of the criminals them­selves. This suf­ﬁces to under­line the signiﬁcance of the personal evidence of survivors of the Euro­pean holocaust.Dinur and the institution he conceived and directed after the war—Yad Vashem, Israel’s national museum in Jerusalem—were almost solely responsible for esta­blish­ing Holocaust as the official name for the historical event. Starting with the third volume in 1959, “the Holocaust period” became the standard expression for referring to the era in the English-language Yad Vashem Stud­ies, the museum’s annual publication of scholarly research. Dinur’s words were reprinted from the Studies’ first volume to standardize the expres­sion. And rightly so. For they are a classic account of what the Holocaust signifies to Jewish students of the era, and of how the Holocaust differs from the Final Solution. The Jews were unwil­ling to allow the “criminals themselves” to write the history of Euro­pean Jewry’s destruc­tion. The “European holo­caust” is the name that belongs more prop­erly to the Jewish counter-his­tory—the collective effort to supply “documentary material,” the “evi­dence of survi­vors,” the testimony of Nazism’s victims. The victims and survi­vors who told their stories hoped to bear witness. They wanted to narrate the “horrors” from within. They were prompted by the “desire to leave a record for future generations. . . .” Their ambi­tions, in a word, were literary. As much as anything, Yom Hashoah or Holocaust Remembrance Day is a day on which the Jews—and, to the extent that they recognize it, the rest of the world—acknowledge their debt to Holocaust literatures. It might be suggested that “Holocaust” and “Final Solution” are co-referential names. 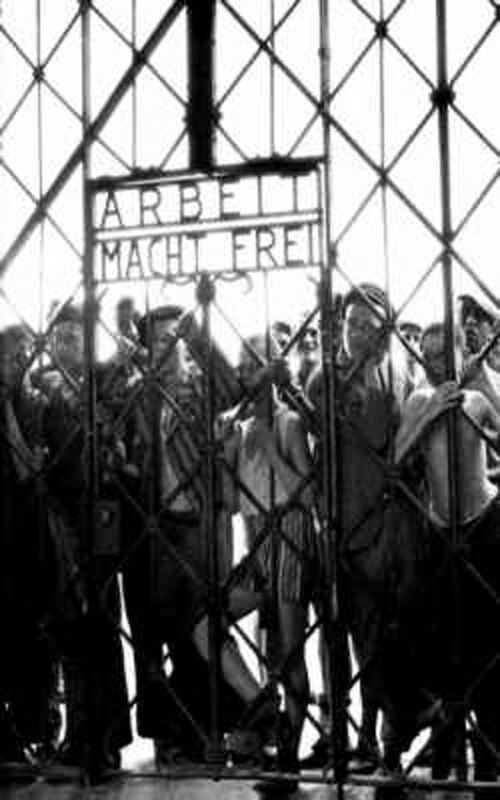 On some such scheme, “Holocaust” might then be considered the event’s neutral name, its rigid desig­na­tor, while “Final Solution” would be a restricted name, to which a predicate may attribute a property only under certain conditions (see Thomas Ede Zimmerman, “What’s in Two Names?” Journal of Semantics 22 : 53–96). On the contrary, I am suggesting that both “Holocaust” and “Final Solution” are neutral (i.e. official) names, designating two distinct and rival interpretations of history. Switch­ing from one name to the other involves an implicit reinterpretation. “Holocaust” and “Shoah” more closely approximate co-referential names. See Walter Laqueur, “The Wall of Silence,” in The Terrible Secret (Boston: Little, Brown, 1980), pp. 17–40; and Gerald Fleming, “The Art of Dissembling,” in Hitler and the Final Solution (Berkeley: University of California Press, 1984), pp. 17–31. Hannah Arendt, Eichmann in Jerusalem: A Report on the Banality of Evil, rev.ed. (New York: Penguin, 1994), p. 232. Originally published in 1964. The SS displayed a special urgency to burn documents. According to Lani Yahil, “During its final days, Auschwitz looked like one huge bonfire; throughout the camp’s passages between the huts files and documents were set ablaze, and the wind spread the crackling and smold­ering debris around the camp. Consigned to the flames were all the files in the infirmary and the secretariat as awell as the card file of Soviet POWs. . . . The burning of documents did not stop until the night before January 18  as the Russians neared the camp” (The Holocaust: The Fate of European Jewry, 1932–1945, trans. Ina Fried­man and Haya Galai [Oxford: Oxford University Press, 1990], p. 528). Ben Zion Dinur, “Problems Confronting ‘Yad Washem’ in its Work of Research,” in Yad Washem Studies 1, ed. Ben Zion Dinur and Shaul Esh (Jerusalem: 1957), p. 18. Dinur, educa­tion minister in David Ben-Gurion’s first Israeli government, drafted the charter of the Yad Vashem Remembrance Authority and introduced the law founding it in the Knesset on May 12, 1953. He served as its director from 1956 to 1959. “The Role of Interviewing in the Research of the Holocaust Period—Three Papers,” in Yad Washem Studies 3, ed. 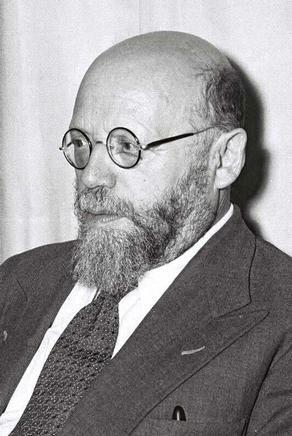 Shaul Esh (Jerusalem, 1959), pp. 77–140. I wonder if you commented on the International Day of Solidarity with the Palestinian People (Nov 29). Oh no, you didn't. What a surprise. Ah, yes. On Holocaust Remembrance Day, the obligation of every Jew is—to remember the Palestinians. And so the memory of real gas chambers disappears into the antisemitic fantasy of suppositional gas chambers. For some on the Left—like this anonymous commentator, too cowardly to own up to his statement publicly—the mere mention of Jews, any mention of Jews whatever, unleashes babble about the Palestinian Arabs. Forgive me if I do not go along. Perhaps "Anonymous" ought to familiarized himself (herself) with the Torah, especially the history of Abraham's journey to the "promised" land, the later history of the return to the "promised" land from Egypt, and the over-arching history of the convenants. I put "promised" in quotation marks so that "Anonymous" takes care to focus on who made the promise and to whom those promises were made. Of course, if one does not believe in God (or history), one cannot be persuaded by promises and convenants. Now, as for another issue, I would offer this comment, which implies plenty of questions: I am stunned always when I think about the cold-blooded evil that was at the root of the Holocaust; however, I am wary of relegating this evil to a mere anomaly of history, and wonder: will people be wise enough to see and prevent this kind of evil from ever happening again? "Anonymous," Jose Saramago, the Iranian regime, and plenty of others suggest to me that people will not be sufficiently perceptive and reactive. I hope I am wrong. Grammar nitpicking: correct is 'Endlösung der Judenfrage'. It is 'die Frage', feminine. In genitive therefore 'der Frage'.